Updated Wednesday November 28, 2018 by Roland Park Baseball Leagues. The Roland Park Baseball Leagues (RPBL) has consistently provided an exceptional baseball program for many young boys and girls thanks to the generosity of our community sponsors and supporters. 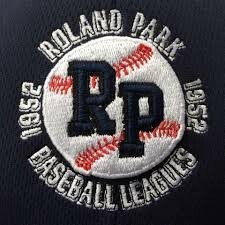 For 66 years, RPBL has grown in its quality baseball experience to more than 800 children in its five leagues, from its T-ball League to the Teen League, in addition to Spring and Fall Travel. As the league expands to serve more children in Baltimore City and parts of Baltimore County, we are excited to unveil some new opportunities for individuals, small businesses, retailers and companies to give back to our community while earning meaningful marketing power. We are pleased to offer the following new and returning ways to support our program for the upcoming season and market your business or company to families in Roland Park, Mt. Washington, Guilford, Homeland, Ruxton, Towson and more. Our revamped sponsorship offerings include single and multi-year opportunities to advertise your small business or company on fields, scoreboards, league divisions and teams/team jerseys. With 60 teams in five different age groups, we have many cost-effective, value-added ways for you to partner with the league. Team sponsors, in particular, are needed to offset the cost of uniforms, equipment, field maintenance, umpire fees and trophies. It is important to note that every team sponsor will have its name imprinted on its team’s shirts. In addition, your advertisement will be printed with a photograph of your team in the RPBL Annual Program. This keepsake is given to all players, families and sponsors. At the end of the season, each sponsor will receive an attractive plaque, with a photograph of the team, recognizing your contribution to the Roland Park Baseball Leagues. The RPBL Sponsorship opportunities and form are enclosed for your review.